I just wanted to post a couple, or three, recent family portraits. It’s really easy as you work away at things to forget to post stuff! So, here’s a glimpse of what I have been up to. The first image, that’s my youngest giving me the “how long do I have to stand here Dad?” look. Yes, she will pose when I want to take some shots. but my opportunity is usually short and sweet. Then she wants to take photos of ME! It’s funny though. 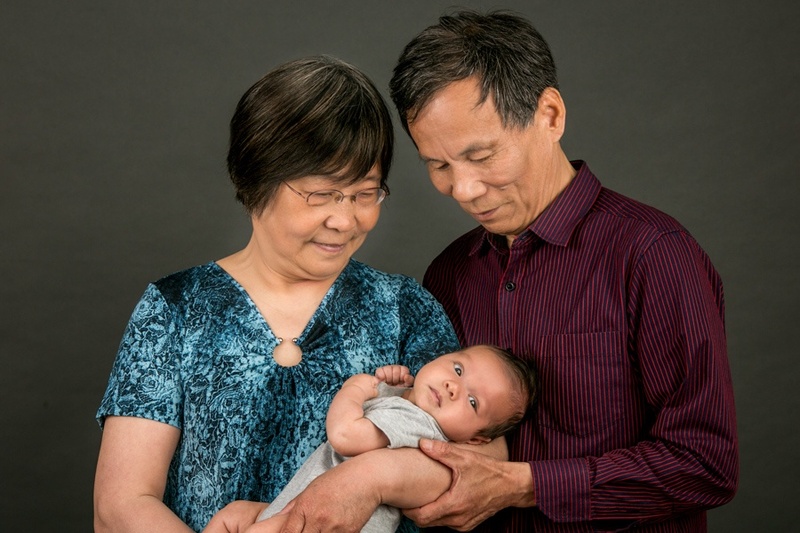 An American/Asian family came over for some portraits the other day. Proud grandparents holding their grandson, it was sweet to watch. 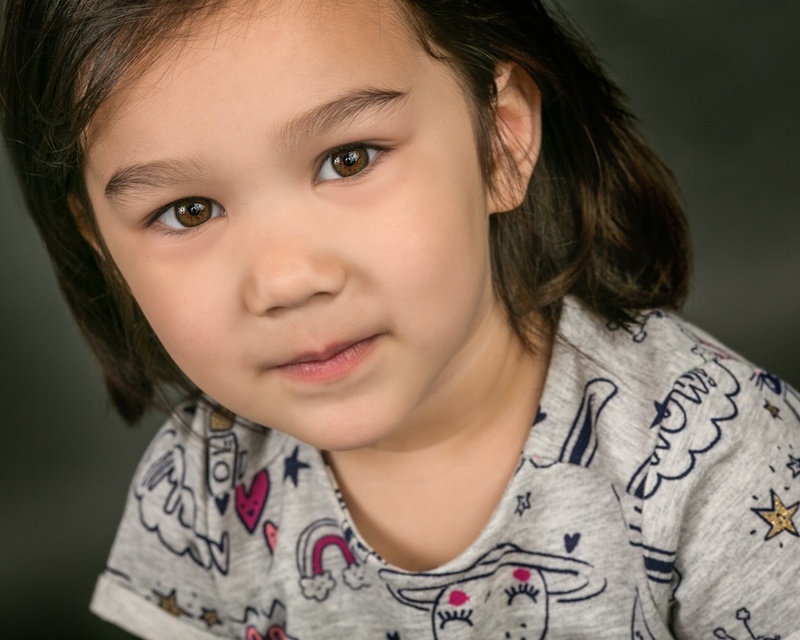 Their three year old granddaughter was the perfect little model, not a bit afraid of the camera. Some children are very wary, and others are naturals. She slotted perfectly into the latter category. The images on this page show both outdoor and indoor portraits. What do you prefer? Outdoor with the environment, or the clean more simple look of a studio portrait? Remember though, a studio portrait could be much more complicated if required, with props, furniture, etc., as well as light or dark backgrounds. Of course, the one thing we don’t have to worry about with studio portraits is that all consuming issue we all discuss – the weather! Rain or shine, the studio is always the same, warm and cosy. It also has one other very important benefit, and that’s absolute control over the lighting. It’s not easy to control the sun, but studio lights do exactly as they are told. Usually. If you would like some new portraits of the most important people in your life, get in touch today. Let’s get your images in the “recent family portraits” posts. 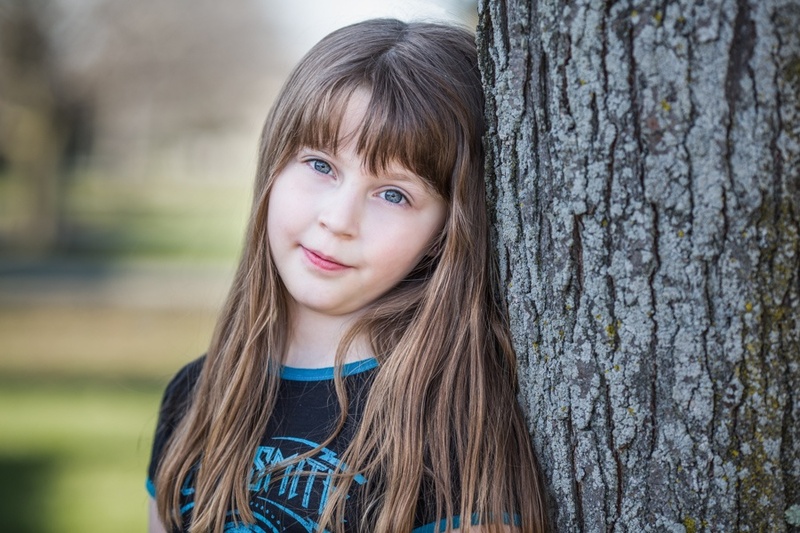 You can also check out the Families and Portraits pages if you like. Until next time, enjoy the images!